Three people are confirmed dead, and several others severely injured, when a Toyota Urvan Mini-bus collided with a Kia Truck last Monday at Bundase, near Tsopoli on the Accra-Aflao Highway. 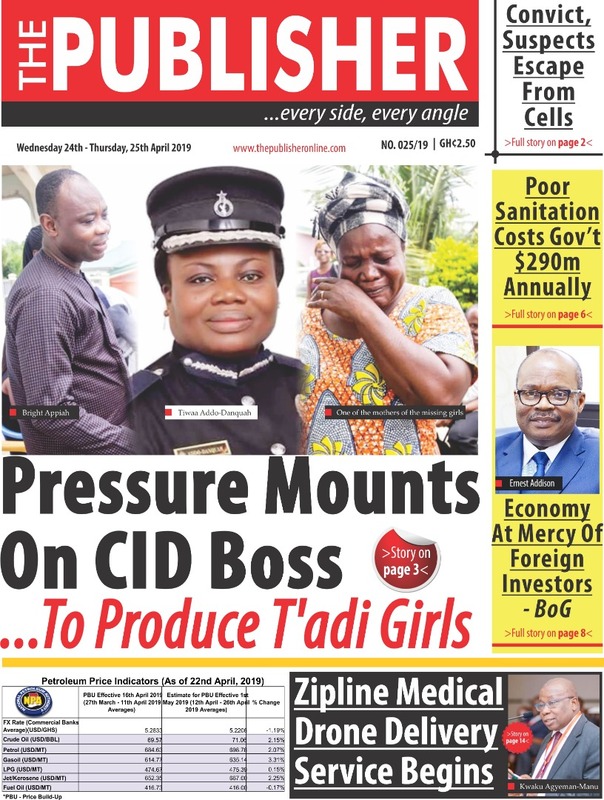 The Prampram District Police Commander, Superintendent Mohammed Issah Katoona, who confirmed the incident to THE PUBLISHER yesterday, said the accident occurred when the Toyota Mini-bus, with registration number GT4315-17, tried to overtake another vehicle, and in the process veered into the oncoming lane, crashing into the Kia Truck. According to him, the minibus, fully-loaded with passengers, was from Ada towards Accra, while the Kia truck was heading towards Ada. Superintendent Katoona said the bodies of the deceased (two men and a woman), whose identities could not be readily confirmed, had been deposited at the Tema General Hospital, whiles the injured passengers were also sent to the Tema General Hospital and a clinic at Sege in the Ada-West District. He, however, called on the public to contact the Prampram Police Command for information in case they are unable to reach out to their relatives who must have traveled on that stretch of the road on that day. The minibus was said to have carried market women from the Kasseh market in the Ada-East District. The bus driver, who was identified as Isaac Ackweh, and his mate, ware all said to have suffered broken limbs, while the Kia Truck driver also suffered minor injuries on his forehead.